• tang has two types of leveling system in medium weight to adjust the level of the tang accurately. • Claws Available:- 2mm, 3mm, 4mm (As per Requirement). • Tank Available:- Medium Weight, Heavy Weight. 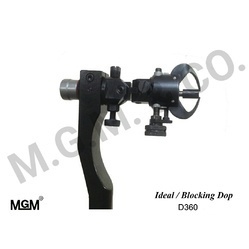 Looking for IDEAL DOP _ BLOCKING DOP _ TABLE DOP ?